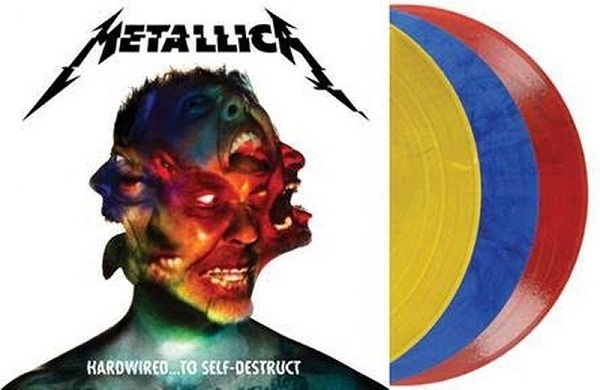 It's been a long time coming, but Metallica proudly announces the release of "Hardwired...To Self-Destruct", the long awaited Metallica studio album to follow "Death Magnetic!". Deluxe Edition Box Set containing three 180g colored vinyl discs with download card, lithos, buttons, etc. coming your way! Hardwired… represents the next phase of Metallica's journey. Produced by Greg Fidelman, along with James and Lars, this is the group's 11th studio album.